Jurors in the Boston Marathon bombing trial heard testimony and a 911 call from the victim of a carjacking in which Tamerlan and Dzhokhar Tsarnaev are accused. "Please help me! Please help me, sir! Someone took my car!" the terrified 911 caller, Dun Meng, said. The daring escape was caught on camera. It all played out before the jury Thursday, as Meng, allegedly taken on a harrowing ride by the marathon bombing suspects, took the stand. Jurors in the trial of Boston Marathon bomber Dzhokhar Tsarnaev have been shown the tattered pieces of the backpack he used to carry a bomb in the deadly 2013 attack. "They say they are the - they did the explosion, marathon explosion!" Meng breathlessly relayed to the 911 operator. Meng testified he had pulled his Mercedes SUV over on Brighton Ave in Boston to respond to a text message at about 10:30 p.m. on April 18, when this green Honda Civic pulled up behind him, and a man later identified as Tamerlan got out, forced his way into the car, held a gun to Meng and told him to drive. Meng said as they drove from Boston to Watertown, he thought about trying to escape when Dzhokhar took his Bank of America debit card and withdrew money from a Watertown ATM. But he couldn't get up the nerve to do it until the brothers drove to a Shell gas station on Memorial Drive in Cambridge and Dzhokhar was forced to go inside to pay for the gas in cash. 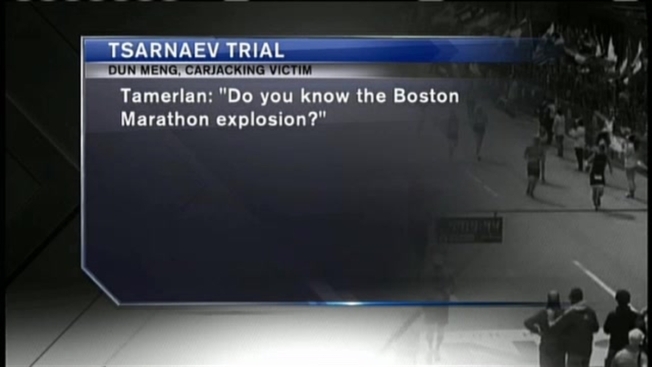 While Dzhokhar casually shopped for Red Bull and a bag of chips, Meng testified he was alone in the car with Tamerlan who had put the gun in the driver side door pocket. "I count down 1-2-3-4, unbuckled my seat belt, unlocked the door," Meng testified. "I could feel he was trying to grab me." 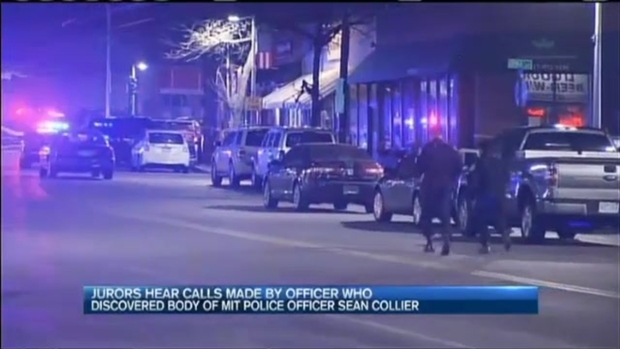 Surveillance video was shown in court of the moments leading up to the death of MIT Police officer Sean Collier, allegedly at the hand of the Boston Marathon bombing suspects. But as you can see in this surveillance video Meng ran from the Shell gas station across the street to the Mobil station, running inside, holding the door shut, and pleading for the manager to call 911. "Please help me! Please! They have guns!" he pleaded. 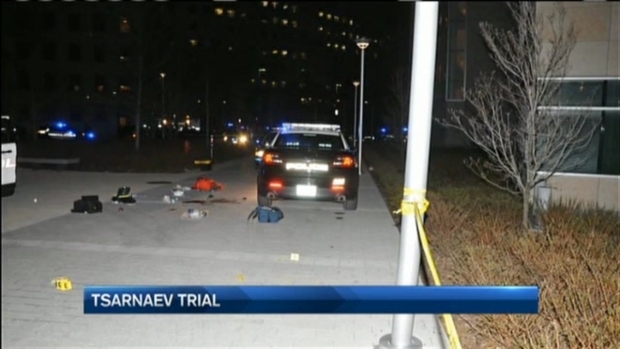 When the defense asked Meng if he ever saw Dzhokhar with a gun, Meng said no.